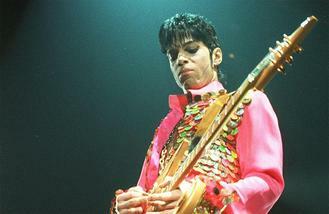 Prince's backing band The New Power Generation will support Phil Collins at British Summer Time Hyde Park. The group - who were active in 2013 before the 'Purple Rain' hitmaker made a return to music with 3rdeyegirl as his backing band - will reunite for the first time in the UK since the music legend's death on April 21, 2016 from a fentanyl overdose. They will be joined by popular British duo Chas & Dave, 'That's the Way (I Like It)' hitmakers, KC and the Sunshine Band, and rising rockers Cats in Space at the famous London park on June 30. They join Blondie, Mike + The Mechanics and Starsailor, who were previously announced to be joining the 'Against All Odds' hitmaker for what will be his only UK and European festival performance of 2017. Blondie - fronted by Debbie Harry - will be joined by their newest recruits, Leigh Foxx, guitarist Tommy Kessler and keyboardist Matt Katz-Bohen for what looks set to be a show-stopping performance. Supergroup Mike + The Mechanics will have some new music to share with fans as ahead of their performance they will be dropping new record 'Let Me Fly' on April 7. Wigan legends Starsailor - comprised of James Walsh, James Stelfox, Ben Byrne and Barry Westhead - made a triumphant return in 2014, after a five-year hiatus in 2009. The 'Good Souls' hitmakers haven't released an album since 2009's 'All the Plans', but will no doubt take fans on a nostalgia trip with songs from their back catalogue, which is comprised of 10 Top 40 hit singles. On hosting his own day at the music extravaganza, Phil previously said: "The reaction from the British public has been overwhelming. I can't wait to play Hyde Park and see everyone there." And fans could be in for a treat as the music legend has vowed to perform the drums at least once while he's on the road, despite suffering from crippling back pain, and he's hoping he will pick up the sticks for his biggest hit 'In The Air Tonight'. He recently said: . I'm going to do something and hopefully be playing that. "And I am going to apply myself to do something and hopefully be playing that particular thing ('In The Air Tonight') with my son Nick, who is playing drums on the tour." BST also sees The Killers, Green Day, Justin Bieber, Kings Of Leon and Tom Petty & The Heartbreakers headlining in June, with more support acts expected to be announced in the coming months. Katy Perry has paid tribute to a superfan who passed away by posting a poignant message and changing her Twitter name. Kings of Leon will be joined by Deaf Havana, Tom Grennan and more at British Summer Time Hyde Park. Damien Hirst's George Michael painting has sold for almost $600,000 (£477,000) at a charity auction in Texas. Glen Matlock has a new album on the way featuring a member of David Bowie's band on the lead single. New dad Liam Payne has joked on Twitter about how often his newborn son's diaper needs changing. Drake has broken his own chart record in America by landing 24 titles on the Billboard Hot 100 in the same week. Pharrell Williams is developing a big screen musical about his life. The cancer-stricken fan Beyonce surprised with a video call last week (ends24Mar17) has died. Clem Curtis has died at the age of 76.